Can digital screens really make you start going blind? In the 21st century digital communication and entertainment is everywhere. We all have or have seen televisions, computers, phones, gps’, or tablets in our lifetimes, in fact, if you are reading this now you are staring at one of those at this exact moment. For the most part, every age whether you’re a five year old playing on an ipad to a forty-year-old accountant using a computer everyday, we are constantly staring at digital screens. Are you aware that you could be gradually damaging your eyes every time you look at one of these screens? From personal experience I have learned this to be true. At a young age i always had 20:20 vision. However, since we live in a modern digital word i always played on a computer, watched tv, played video games and used my phone a lot because thats just what we do now a days. I started to realize that my vision gradually began to decrease and it was harder to see in the distance. For example, in school the board got harder and harder to see every day i tried to take notes. I started questioning if this was normal or if i really was going blind. I decided to get my eyes checked out and it turns out that my eyes actually changed into 20:40 vision by the age of fifteen. This then led me to buy several pairs of expensive prescription glasses and question, “Why did this occur?” “What caused my vision to decrease so rapidly?” I started researching this topic and talked to several eye doctors and this is what i discovered. All of these things can occur from watching your television for too long. These are common short-term side effects that you could see immediately while watching any screen. There are also several long term affects that these screens may have on you. There has been evidence that between 50-90% of people who sit in front of digital screens, like computers, have signs of visual problems within the years to come. This issue is very common and is permanent damage to the eyes so i researched several ways to prevent and cure these problems. Many factors go into how these screens can damage your eyes. 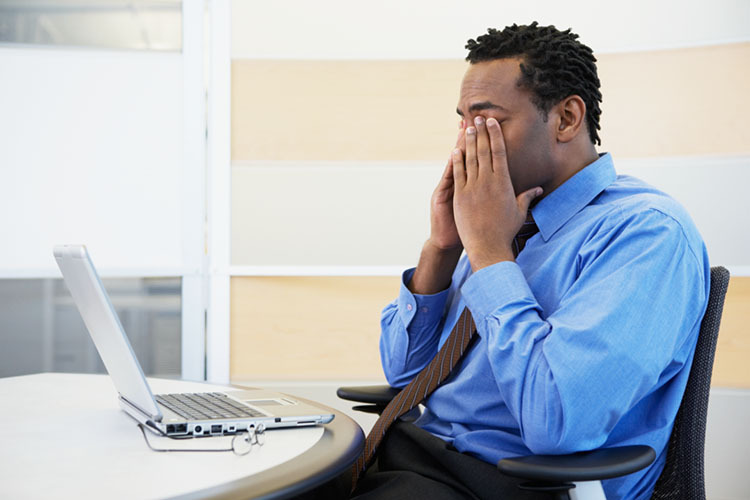 Sources say that by reducing the glare of the screen, lowering the brightness and positioning the computer about 20-28 inches away from your eyes may decrease your chances of receiving computer vision syndrome. There is also another rule of thumb to follow that some sources call the “20-20-20 rule.” This is that you should look away from your screen at least every twenty minutes, stare at something twenty feet away, for twenty seconds. This relaxing the eye muscles and allows your eyes to rest. Every time you watch any digital screen your eyes are constantly working by focusing on whatever it is you are watching. By following the 20-20-20 rule, your eyes won’t have those issues of being dried out, blurred or burning. This method could also help from getting those long term effects when you are older. Where does science come in to this? Null Hypothesis: Digital screens have no effect on our vision. Alternative hypothesis: Digital screens decrease our vision the longer we look at them. Reverse Causation: A decrease in vision causes us to watch digital screens longer. After first-hand experiencing and researching this topic, I would accept the alternative hypothesis and reject the null hypothesis because there is enough data supporting the idea that digital screens have short and long term negative effects on our vision. Reverse causation can be ruled out simply because it does not make sense. If a persons vision is decreasing, they do not desire to view a digital screen more. There is no correlation between the two. Like always, chance is always a possibility but is extremely unlikely because the studies strongly suggest that the alternative hypothesis is true. Did you already damage your eyes and are worried you may never have 20-20 vision again? There are actually several ways to fix your eyes if you have already damaged them. The first and most common way is to just get glasses or contacts that can temporary improve your vision at ones own needs. However, if you aren’t looking to always put glasses or contacts in, then there is actually a way to improve your eye sight forever. There are several different types of eye surgery but the most popular happens to be LASIK. This is when the surgeon, depending on the preferred method, creates a flap on the cornea of ones eye. Laser eye surgery seems to be the more preferred method over the use of a blade but is slightly more expensive. Eye surgery can be a very successful way to cure ones eyesight: however, it is not 100% effective on every customer and has some risks. Overall, computer vision syndrome along with all vision problems that occur from digital screens are extremely popular and keep increasing with the increasing modern technology. These issues are predicted to only get worse, due to the fact that in the 20th century, our society has and uses digital screens everyday and everywhere. Follow the steps discussed previously to prevent these chronic problems before you need to input lots of time and money to fix your eye sight. This entry was posted in Uncategorized on October 16, 2016 by John Carney. I really related to this article. I also always had 20:20 vision growing up. Reaching my final years of high school however, I struggled to see things when I sat near the back of the classroom. I knew that I had to go to the eye doctor before I left for college because I would be sitting in a huge lecture hall. Sure enough my eye doctor told me that I needed glasses. I looked into the reasons why I could have lost my eyesight and technology was definitely a leading factor. It is especially hurtful to look at your screen in the dark. Here is an article about so-called “smartphone blindness” http://www.natureworldnews.com/articles/24114/20160623/warning-looking-phones-dark-cause-smartphone-blindness.html. I was first told I needed glasses for seeing in the distance in 5th grade. It made me feel weird and uncomfortable because “it is not cool” to have glasses. I went until 7th grade without getting a newer stronger prescription. By the time I entered into high school my vision had gotten so bad I needed to wear contacts full time. Since freshmen year of high school I have had to get a stronger contact prescription for my eyes. As a student I am constantly online doing homework and studying along with being social. It worries me that my eyes keep on getting worse and worse. I wonder like children’s eyes will be like 20 years from now if eyesight and technology goes so poorly in today’s time. This is a very important issue in today’s society, especially since many school districts are going completely digital. I know at my high school, they are adopting a one to one laptop program where every student is provided with a laptop and is expected to use it in every class, but seeing that there is some scientific background to correlation between the loss of eyesight and the use of digital screens, they may want to reconsider this full school day of laptops. I know as I entered high school I also saw a decline in my vision and an increase in my time looking at a digital screen. However, I was also just getting older, so another confounding variable to keep in mind is genetics. A lot of people’s eyesight begins to get worse as they get older, usually starting in the teenage years. Although my dad had fairly good vision and it would make sense for to blame digital screens for my deteriorating vision, my mom has bad vision and says that her eyesight began to go bad in high school too, before looking at digital screens all day became an issue, which could mean that my vision problems are really just genetic. It would be extremely difficult if not impossible to test this hypothesis by ruling out the confounding variable of genetics, but it is something that we should keep in mind when looking at these studies. I know that we have all experienced the short term effects of looking at a digital screen for too long, but as for the long term effects, I think there is still research to be done, and I will continue to blame my bad vision on my mom.. not my excessive use of digital screens. Maybe I’m wrong, but at least now I have someone else to blame for the downfall in my vision! This is a great blog post and something I feel that everyone can relate to. I think it is very cool how you made up your own study because you didn’t mention one in your blog post. 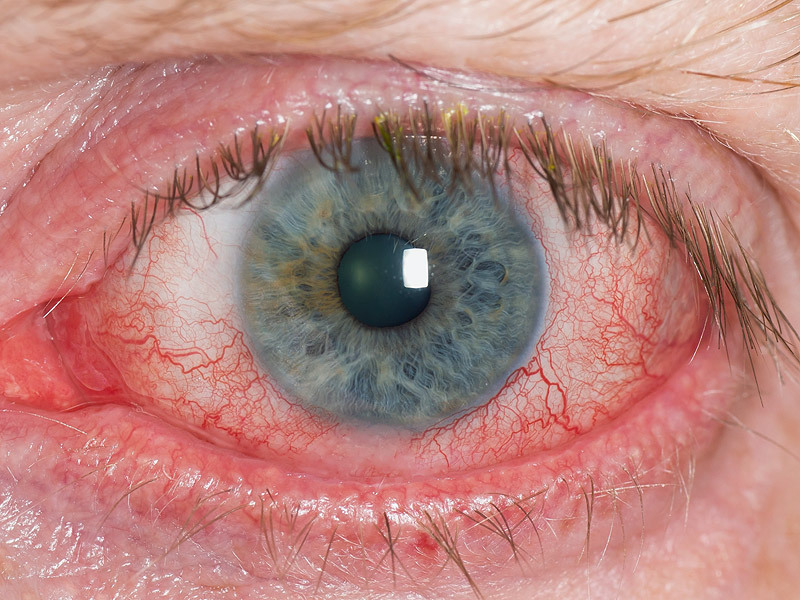 When I am staring at my phone or laptop for a very long time I can feel my eyes start to get almost dry feeling. I actually have perfect vision myself and I remember a couple years ago I had to get glasses because I kept getting terrible headaches. My doctor recommended I wear them when I am on my laptop or in class. I thought it was interesting that glasses could help me but it gives my eyes a break. The same thing happened to my sister in law, her eye sight was terrible from studying so much on a computer screen and a couple months ago she went in for LASIK surgery and she actually recovered great from it. https://www.ncbi.nlm.nih.gov/pmc/articles/PMC2921999/ I thought this study was really cool, it talks about how you can enhance the sensitivity in your eyes by video games! This topic is very relevant because most people cant go even a few hours without their phone. I totally agree that is is a problem that is only getting worse but I find it hard to believe that it can actaully do a lot of damage to the point that you become legally blind. From my personal experience you have to been looking at a screen for a very very long time, I mean hours before I start to feel any of those negative symptoms. I found this article that says that looking at a computer may cause short term irritation but not anything permeant. It also goes on to say that some technology such as video games can actaully improve someones eyesight. They say that it improves their contrast sensitivity which is important for many daily activities. Overall I see how this could become a problem but I think more studies need to be done before we can come to a conclusion. I also think we will be able to know more over time considering technology is only growing and kids now a days are put in front of the tv the day they are born. I would be interested to see more on this study later in life.